Additional Info: Accommodating up to 8 people, one double room, two twin rooms and a pull out double bed in the lounge area. Double glazing and central heating. 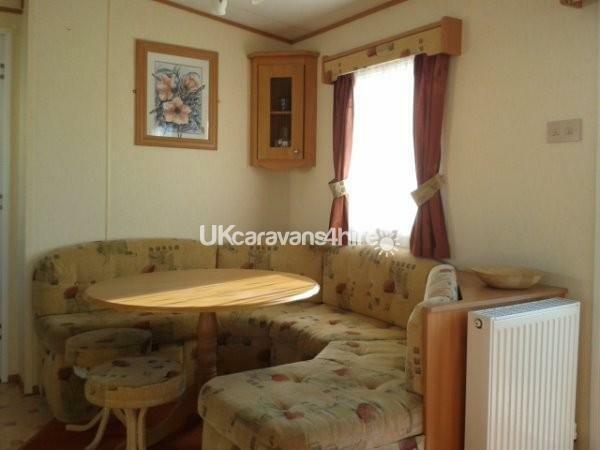 It has a large, open plan spacious comfortable lounge and dining area. 32in flat screen digital TV, DVD player and radio are provided for your entertainment. 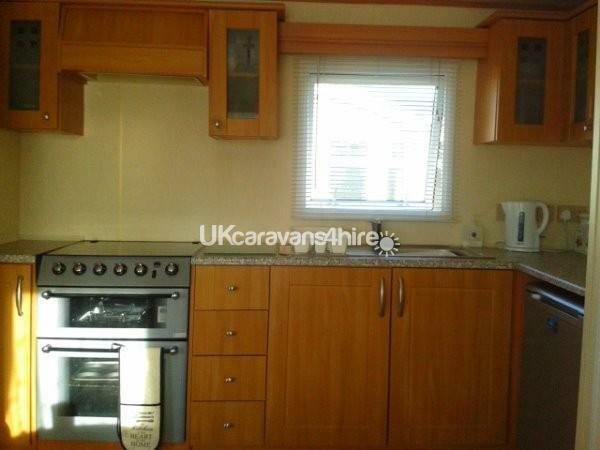 Kitchen facilities include, gas cooker with 4 rings oven and grill, fridge, microwave, toaster, everything you need to cook and serve a meal. An iron is also provided. 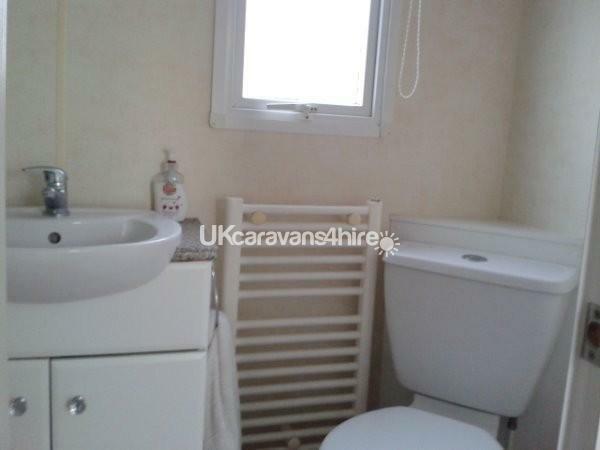 Shower room with large shower cubicle, sink with storage underneath, bathroom cabinet and toilet. Double bedroom with bedside cabinets, dressing table with mirror. Drawers, and wardrobe, also over bed storage. 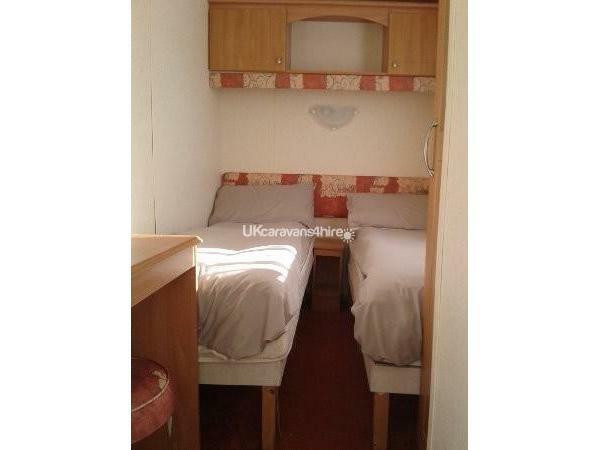 2 x Twin rooms with single beds which can be pushed together to make a double bed. Over bed storage, and wardrobe with mirror. 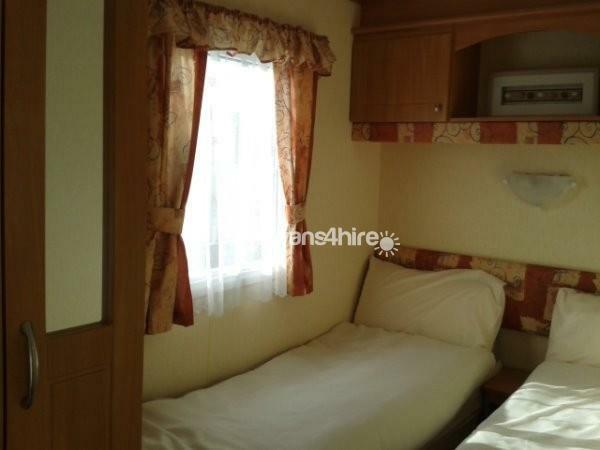 1 also has dressing table. Pull out bed in lounge area. Quilts and pillows are provided, bed linen can be provided at an extra cost of £20. Price start at £45 per night low season to £90 per night high season. £50 non refundable deposit required to confirm booking. Full payment required 4 weeks prior to start of holiday. 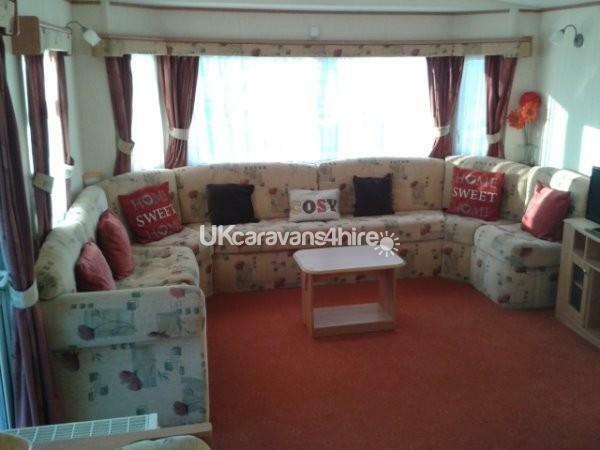 Much loved immaculately kept caravan as used by ourselves. Park Resorts Cayton Bay has all the usual attractions of a holiday village and is only a short walk to lovely unspoilt beach, with Life Guard and Water sports, café and toilets. 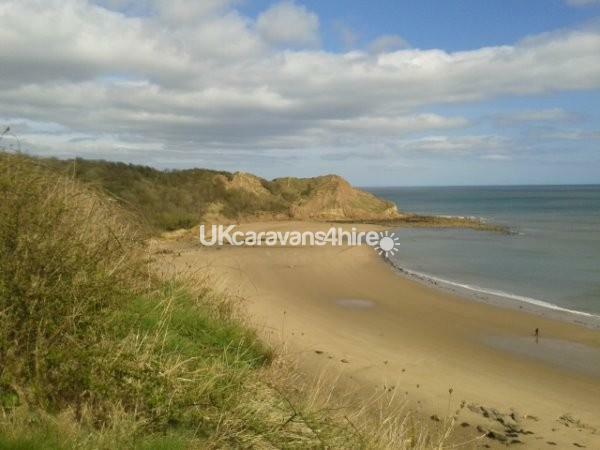 Within easy reach by car to, Scarborough, Filey, Flamingo Land, Whitby, Bridlington, and much more. The local bus stop is just opposite the Park entrance and will take you to Scarborough, Filey and Bridlington. A park and ride into Scarborough is only a short distance away. Morrison's supermarket is only a few minutes drive away. Additional Info: Kids club, full day and evening entertainment program. Indoor soft play area. Outdoor Children's Adventure Playground with wooden play apparatus and outdoor football/basketball court. Just enjoyed a fantastic few days in this lovely caravan with fantastic location and facilities .Kathy helped out from start to finish and always responded promptly to any query.Would DEFINATELY book this caravan again!! Thanks for your positive response Lisa. Glad you enjoyed your stay. 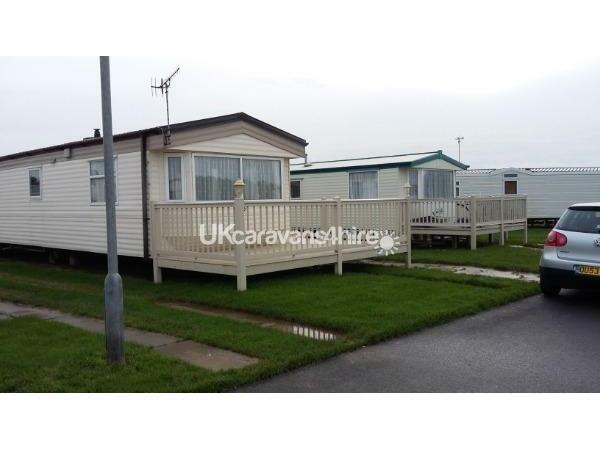 Have just returned from a lovely stay in this caravan, it was very clean, homely and spacious, the veranda is excellent with seating which is lovely on a warm day, my granddaughter also loved being able to go in and out as she pleased and we knew she was safe, added bonus of some family dvds neing available, kitchen was well equipped and shower very spacious, would highly recommend, communication with owner was also excellent. Thanks for your positive feedback Sue. Glad you enjoyed your stay. Was so pleased to of booked this holiday. 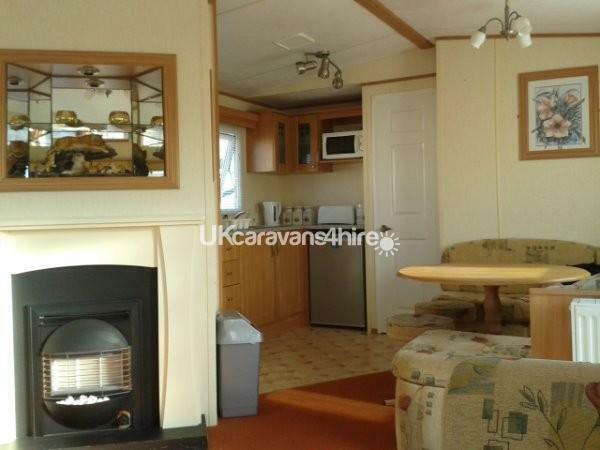 The caravan was excellent for size and cooking facilities, everything from cooking full breakfast to roast dinner was definitely possible. It was far enough from noise from the entertainment block. Don't worry about taking extra like foil or even food bags it's all in the caravan. Will be returning next year for revisits to Bridlington and Whitby. Well done to the family that own this caravan. 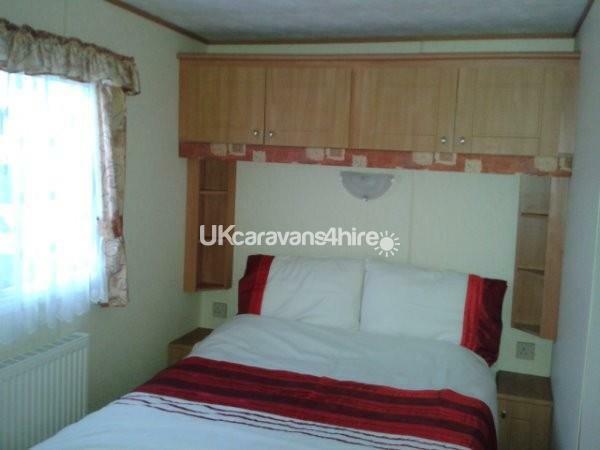 Thank you so much for letting us hire your lovely caravan, we had everything we needed, the caravan was spotlessly clean and there were a lot of personal touches there which made it very homely, we were very comfortable and cosy. Just wanted to let you know that we had a lovely time, it was very relaxing and we visited lots of beaches, the beaches were all lovely and clean with beautiful gardens. Sophie our little westie loved her holiday as well, she loves being on the beach and it was clearly marked on every beach which was the dog friendly side of the beach. This was our first visit to the East side of the country and we were very impressed with everything, including the weather because even when it was overcast it was still warm.